Here is a new Canon 58mm lens cap with the Canon name printed on the front. Top quality, made in JAPAN. Here is a new Canon 72mm lens cap with the Canon name printed on the front. Top quality, made in JAPAN. 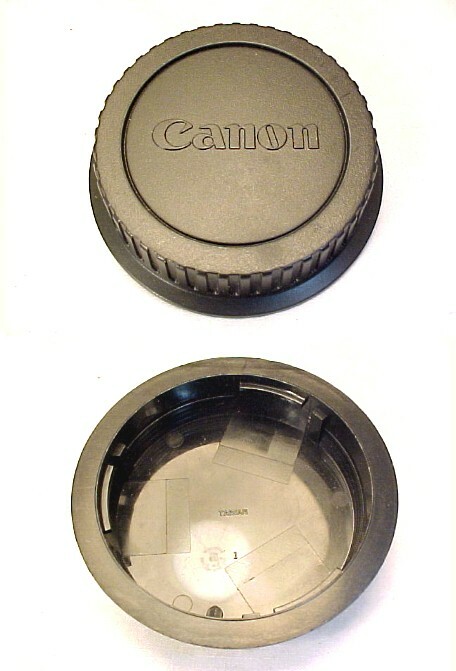 Here is a new Canon 77mm lens cap with the Canon name printed on the front. Top quality, made in JAPAN. I know many people are sticklers for original equipment, this one’s for you. This says Canon on it, bayonet style mounting, in great condition and made by Canon. This is for all the Canon EOS Autofocus camera lenses, digital or film. These will not fit the Canon manual focus camera lenses. Approximately 4 feet long but can be adjusted to be shorter. The strap is used, but in great condition. There is minimal wear on plastic ends and you can tell where the strap has been adjusted to before. The actual strap is pictured here so you will know exactly what you will be getting. This new style deluxe lens cap comes complete with the leash to prevent loss, center release buttons so it will not interfere with a lens hood, and no ears sticking out to make it easy to knock off of your camera.